New Formula - Normal to Dry Hair. Leaves all hair types shiny and easy to comb. 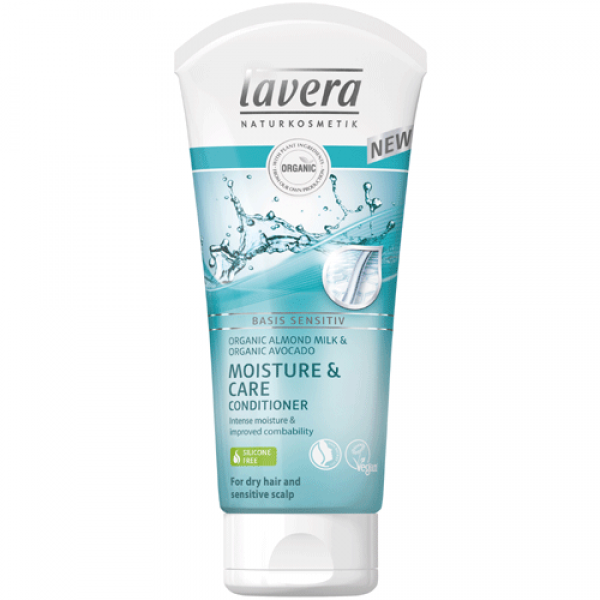 Precious and nourishing plant ingredients form a protective layer around the hair providing intensive care after each hair wash.
Lavera Basis Moisture & Care Conditioner adds brilliance and makes the hair easier to comb through. A hint of essential oils provides a subtle, fresh note to your hair. New formula & now with 200ml instead of the usual 150ml from September 2016.